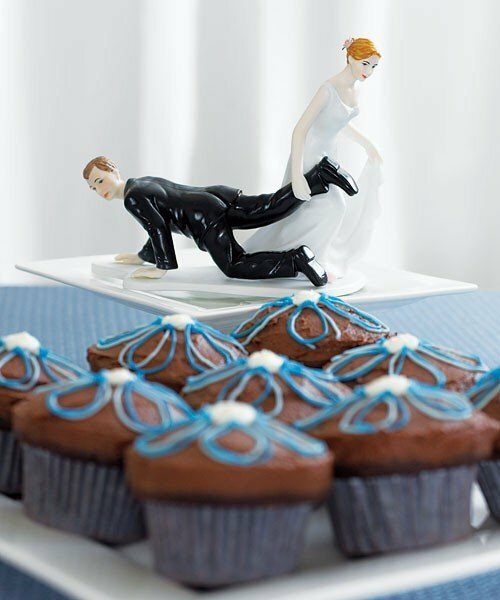 A whimsical and funny wedding cake topper! 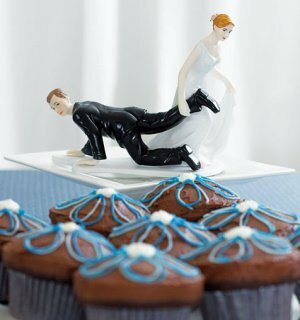 If you want to share your sense of humor with your guests, they are sure to appreciate this funny pose. The bride stands tall and is dragging the unwilling groom along behind her. 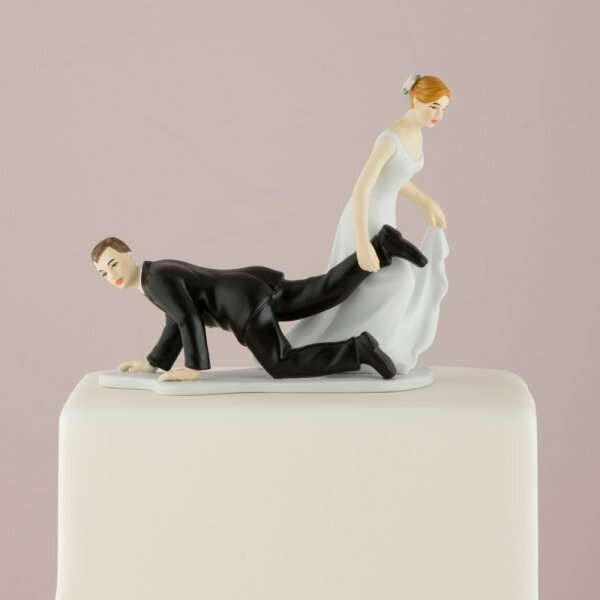 It will certainly bring smiles to everyone who passes by your wedding cake and in the cake photos. Cake topper measures 5-1/2" high and the base is 6" x 3-1/2". It will be an unexpected bright spot during the reception!